Badrinath is not just a pilgrimage spot; it offers great opportunities for trekking as well. Badrinath is a holy town and a major pilgrimage centre in Uttarakhand. It is a part of Chota Char Dham – that includes other towns of Kedarnath, Yamunotri and Gangotri. Badrinath is located at an altitude of 3,100 meters above sea level and is situated on the banks of Alaknanda river. Which is why, it lends the travellers a scope for trekking and various other mountain expeditions as well. If you’re visiting Badrinath, these are the things you shouldn’t miss. Dedicated to Lord Vishnu, Badrinath Temple is an iconic part of the Chota Char Dham pilgrimage. 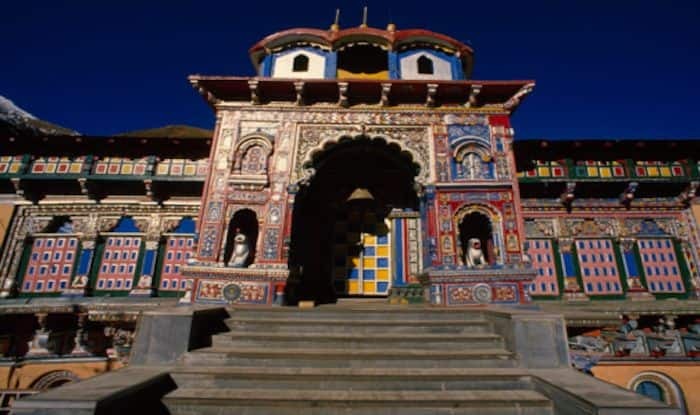 This temple is mentioned in various ancient texts and is one of most important temples for Hindus in India. It’s the liveliest in September, during the Mata Murti Ka Mela. You cannot leave without heading to the hot springs right next to the Badrinath temple complex. There are three main hot springs namely Tapt Kund, Suraj Kund and Narad Kund – all known for their religious significance and medicinal value. The hot sulphurous water rises in temperature as the day progresses and a bath in the waters is said to cure the skin of various ailments. Make sure you don’t spend more than 5 minutes in the water because you may feel dizzy due to the high sulphur content in the water. Located at an elevation of 3,474 meters above sea level, overlooking the Satopanth Glacier and the Gangotri Glacier – Neelkanth Peak is known to be a moderately challenging location for a trek and proffers the most breath-taking views. You must also visit Charanpaduka – a large rock believed to have the footprint of Lord Vishnu. According to Hindu mythology, the rock is the exact spot where Lord Vishnu first set foot when he visited earth. The spot is located at a height of 1,030 meters above sea level and is surrounded by a gorgeous meadow which especially blooms with flowers during summers.